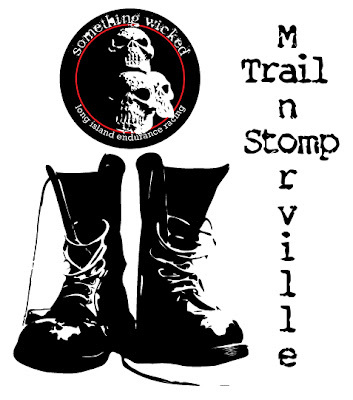 Manorville Hills County Park Trail Stomp!!! Come on down and help beat in this new addition to Long Island's ever growing trail systems!!! There will be groups of all abilities riding so there will be fun for all! SWE will be providing pizza and drinks to all at no cost to you. Your families are welcome to attend also. We just wanted to help CLIMB get this new trail online and ready for use! There is no obligation by any riders other than to show up for some lunch and fun times. Hopefully, you will also do a couple of laps to start bedding the trail in too. Keep your eyes peeled while riding the trail as there will be prizes "hidden" along the trail such as free entries to SWE 6HOCP and possibly some other goodies!! Visit the CLIMB (Concerned Long Island Mountain Bicyclists) website HERE for details. Take C.R. 111 down approximately 1.5 miles. Travel about 1/2 mile south of Halsey Manor Rd on the east (left) side of the divided highway. The trailhead entrance is on the other side of the road marked by a Suffolk County Parks sign. You will have to pass the trailhead and make a U turn further down to come back up 111, as the trailhead is on the other side of the road. Look for the Manorville Hills County Park sign and follow the gravel driveway to the main parking area. All parking is "head-in". We may use the equestrian lot as well. Overflow parking can go near the exit of the roadway before 111 on the right, also "head-in" parking.